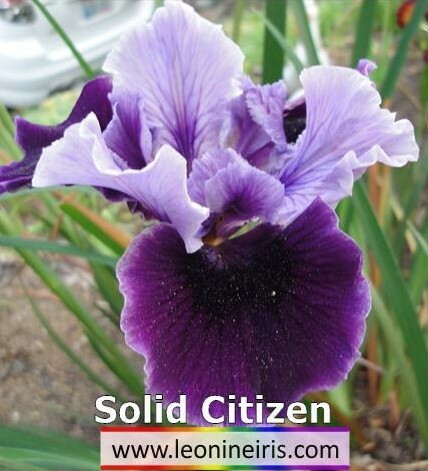 'Solid Citizen' (Joseph Ghio, R. 1986) Seedling# PN-312-O. CA, 10" (25 cm). Late midseason bloom. Standards light blue; falls deep blue violet. 'Las Olas' X seedling# PP-375: ('Oval Office' sibling x 'Carbonero'). Bay View Gardens 1987.